Keep loaded mags close at hand. 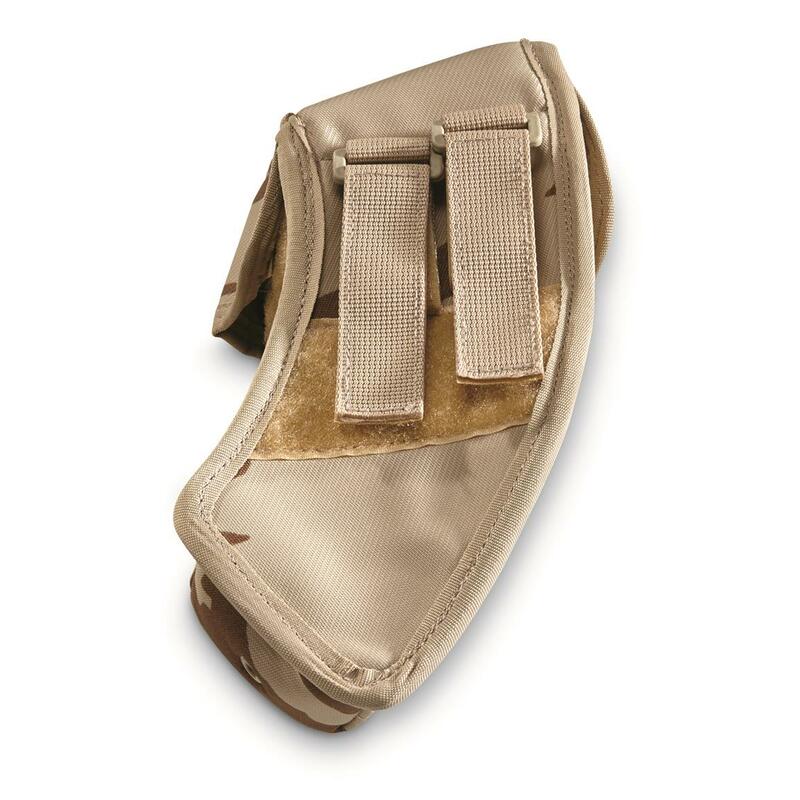 You'll be able to carry four magazines to keep your AK47 or SA58 stocked while at the range. These fit the standard AK47 "banana" mags as well as the curved mags for the SA58. Each 100% polyester pouch has an internal divider and hook-and-loop closure. 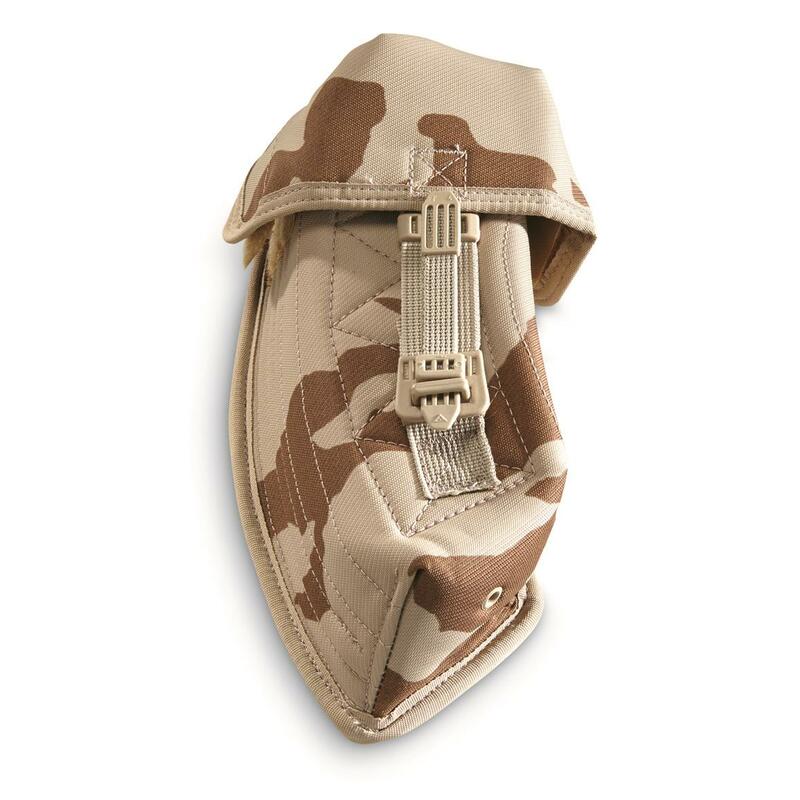 Size: 10" x 4.5" x 3"
Czech Military Surplus SA58/AK47 Double Mag Pouch, Desert Camo, 2 Pack, New is rated 4.8 out of 5 by 6. Rated 5 out of 5 by DanR from Best AK Mag Pouch Ever! I was thoroughly pleased with this item. The quality of construction is superb. The functionality is great. It can be used on just about any belt, the mags fit easily and yet are secure. And also of great importance, the mags can be withdrawn with ease. A great purchase. Rated 5 out of 5 by Survivor from Perfect! Hard to find on SG's web site. They don't come up in military surplus, they don't come up when searching for "magazine pouch." Had to type in "vz58" to find them. Worth it! I purchased two sets of two for me. Liked them so much I ordered more right away as gifts for my sons and a grandson. They are tough, they are padded, VERY well made, and hold two 30 round mags each. Drain holes in the bottom, choice of closure, and work great with AK and AR 30 round mags. Perfect fit! Did I mention they are NEW? If could carry 20 of them on me I would buy some more! Did I mention they are PERFECT? Best AK mag pouches ever. Great value. Rated 4 out of 5 by Hans from Awesome mag pouches but not completely MOLLE compatible As far as quality of material goes these are top notch. Fitment is also good, I run AK P-Mags with my Kalashnikov and they fit great in the mag pouch. When it comes to MOLLE compatibly they are not what you'd expect. The Velcro straps on the back of the pouch are not long enough to get a really solid attachment. Also, one strap is slightly raised above the other making it hard to attach well to MOLLE webbing. Rated 5 out of 5 by dix2111 from well made. best suplus ak mag pouch I have seen first the good, it is better than the standard conscript surplus ak mag pouch. The attaching system seemed odd but fits well on a gi web belt and a regular leather belt. there are Velcro pads on the inside of the flap to seal against sand and dirt . I like it. Its worth the $$$the not so good,these are directional and only fit in the same orientation on one side. I think these are left side pouches. if you put them on the right side they fit awkwardly and would have to be removed opposite the other side. That's not good for quick mag changes.I received two slightly different colors and production dates. Not a big deal but the old one seemed to fit better ( a little). My surplus mags with a wider floor plate fit tighter in the other one. They fit better ammo side up. So if your thing is to have your mags ammo side down that might be a problem.I also feel the pouch restraining tab should be a bit longer. I think when its gets older and looser the tab would flop out. a curved ak mag isn't going to exactly fly out of the pouch during any of my monthly deployments to the range where I sit at a table and shoot at paper but it is still a thing. I really like these and am happy with my purchase. I wont be buying any more due to the directional thing. Any more than 4 loaded mags on one side will have me walking lopsided. I would buy two more if I could get the (right?) sided pouch. Rated 5 out of 5 by Michael G from Wonderful! These AK-47 magazine are definitely worth the purchase. Thick material, and stitched correctly! Rated 5 out of 5 by DanF from Modern, Excellent Equipment I actually bought these for AK mags for a PTR-32, and though they're designed for a VZ58, both fit. These aren't ancient Combloc utilitarian pouches at all. They easily equal any USGI issue. The attachment system used should work on most MOLLE setups, but will probably be better than straight MOLLE for attaching to belts. I hope SG gets some of these in Woodland.